Since colonial times, indigenous peoples have struggled to get their legal systems recognised. Yet a community’s vitality depends on its ability to continue to shape its rules and way of life. Very similar principles are found in other indigenous communities in Panama, India, China and Kenya, along with collective decision-making, sharing and solidarity values. These values are particularly strong in more remote communities. 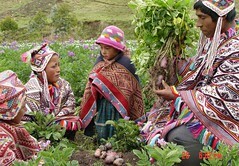 Customary values and laws help sustain both biodiversity and rural subsistence economies. They can provide the basis for bottom-up traditional knowledge protection and access and benefit sharing models that strengthen biocultural heritage, rather than threatening it.